A free webinar sponsored by IMMI/SafeGuard provided a former transportation director’s experiences and lessons learned when implementing school bus lap/shoulder seat belts. 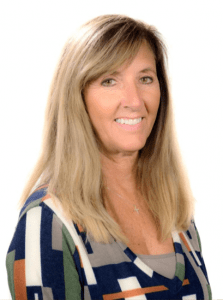 Monica Coburn is the student transportation account manager for the SafeGuard school bus seating and occupant restraint brand, as well as a past-president of the School Transportation Association of Indiana. She commented that many districts, like 18 currently in Indiana, have voluntarily moved to lap/shoulder seat belts without a state law mandating them to do so. But districts looking at implementing the occupant restraints should take into consideration several issues before moving forward, so they can ensure the program’s success. Before Coburn joined SafeGuard, she led district transportation operations for nearly 15 years at Bartholomew Consolidated School Corp., Franklin Township Community School Corp. and Indianapolis Public Schools, as well as having coordinated Head Start transportation in South Dakota. Prior to that, Coburn spent nearly as much time behind the wheel of a school bus. “I definitely know the feel for sitting in the seat and the seat behind the desk,” she told attendees on Tuesday, adding that she is passionate about lap/shoulder seat belts and how they complete school bus compartmentalization. It was at Bartholomew Consolidated in Columbus, Indiana, that Coburn oversaw the first public school implementation of school bus three-point belts. She said she was initially “dead-set” against the seat belts for all the reasons cited by opponents: They reduce passenger capacity, they cost too much with no benefit, they can be used as weapons, and they hinder evacuation. But she changed her tune after attending a National Association for Pupil Transportation conference a decade ago. At the NAPT Trade Show, she also looked at lap/shoulder belts on display, saw first-hand how three/two passenger seating works, and realized that the retractable belts can’t be used as weapons by students. 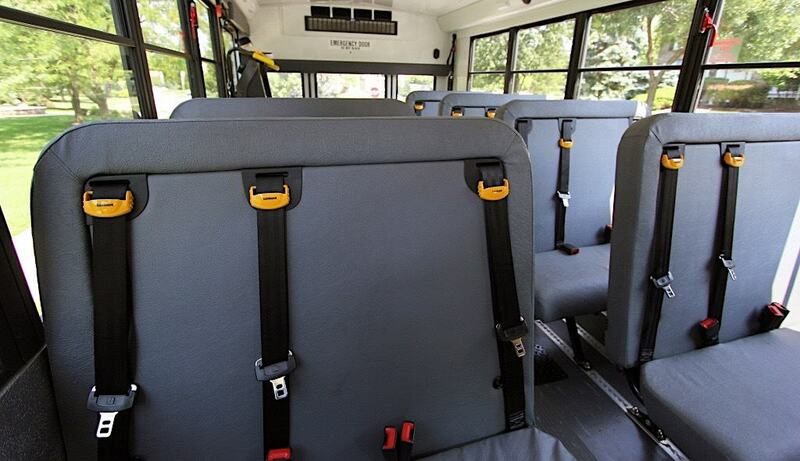 But the most compelling evidence, she said, was that the new manufacturing of bus seats with lap/shoulder belts maintains compartmentalization for students who choose not to buckle up. She also watched video from real school bus routes and witnessed a live crash test that showed how unbelted students become projectiles during a crash, and how belted students remain in their seats. But the tipping point was an incident later that school year at Bartholomew in which the school bus driver was navigating a hill and lost control. No students were on board but a monitor was. She said video showed the monitor trying to hold on to the bus seats. The bus hit an embankment and threw the monitor across the seats. Coburn added the incident cost the district hundreds of thousands of dollars. “I couldn’t come up with a good reason to tell a parent that we choose not to go with the new technology,” she said. She said the key to success with lap/shoulder belts is to first make a decision to adopt the occupant restraints, make a plan and implement the plan. That first requires working with safety training coordinators and convincing them about the benefits, as well as educating school administrators and state legislators. School districts also need to work with the CFO, the school attorney on liability and finally the school board. But most importantly, Coburn advised that the school bus drivers need to be made aware of the benefits, be trained on the occupant restraints and be given data on how the seat belts can actually reduce their liability on routes. Once approved, Coburn said districts need to continue with driver training, put together the implementation plan and determine where the equipped buses will be used. Other tips she gave were to send letters home to parents, make changes in student handbooks on usage and create disciplinary procedures for when student don’t wear the belts. In terms of cost, Coburn said she also discovered that lap/shoulder seat belts could actually help her district save money. They forced her to reevaluate the types of buses the district actually needed based on the routes they serviced and to weigh the safety provided by the seat belts vs. the comfort of air conditioning, for example. She also said lap/shoulder seat belts showed an “amazing change” in student behavior compared to when students aren’t buckled up. She added that she employed school bus drivers who were staunch opponents of the seat belts, until they drove routes during Bartholomew’s pilot program with the belts installed on the bus and witnessed the improvement. Tuesday’s webinar is recorded and available for 24/7 viewing.